Libyan National Army Advances On Tripoli Despite ‘International Community’ Calls For ‘Peace’ 3.6666666666667 out of 5 based on 6 ratings. 6 user reviews. 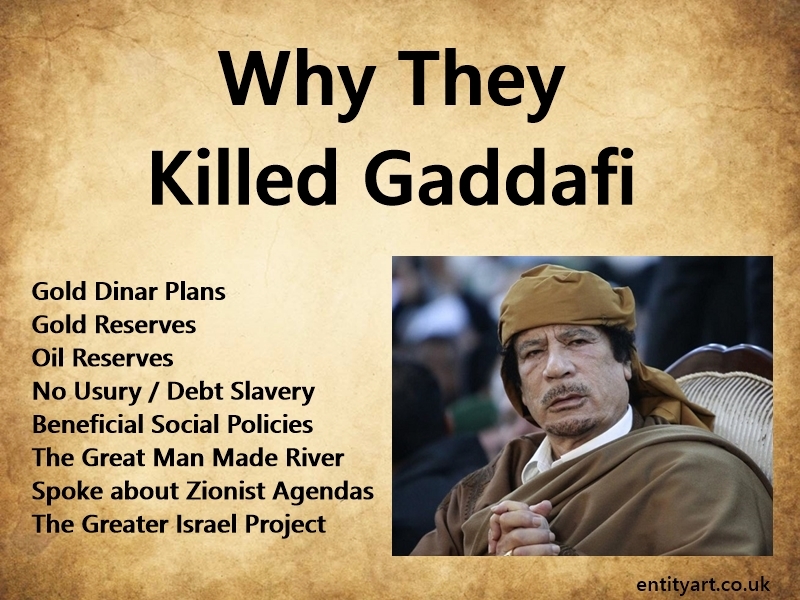 Libya is in chaos since 2011 when the NATO intervened in the country and overthrew the government of Muammar Gaddafi. The Libyan Government of National Accord (LGNA), which is based in Tripoli and led by Prime Minister Fayez al-Sarraj. It’s fomally recognized by the “international community”. the interim Cabinet of Abdullah Al-Thani who is acting in the country’s east together with the elected parliament and supported by the Libyan National Army of Field Marshal Khalifa Haftar. The LGNA formally controls Tripoli, Misrata and several other areas in northwestern Libya. It’s formally backed by the US and some other Western powers. The LGNA has no real military force, but it’s formally supported by various armed groups receiving support from or having links with the US and its allies. One of them is the Suwwar Libya (Revolutionaries of Libya aka Libya Revolutionaries Joint Operations Room (LROR). It’s a strong alliance of insurgents who participated in the rebellion against Muammar Gaddafi government. They openly co-operate with Islamists. The Seventh Brigade, otherwise known as the Kanyat is also supporting the LGNA. They are joined by fighters from the Misrata and Zintan regions. One of the most important figures supporting the LGNA is Abdel Rauf Kara, leader of the Special Deterrent Force (or Rada) which is based in the Maitiga complex. Armed groups from the Suq al-Jumaa area of Tripoli, including the Nawasi brigade, are also key to securing the LGNA. The Libyan National Army (LNA), under the leadership of Field Marshal Khalifa Haftar, controls a large part of the country including its east and south. It is often mentioned in the media as backed up by the United Arab Emirates, Egypt, France, and Russia. Haftar’s LNA has also formed pacts and alliances with various Libyan communities. Many towns and tribes allied with Haftar out of desperation at the impotence of the Tripoli-based LGNA. Others did so to obtain leverage against local rivals. “To our army, that’s stationed on all axis in Tripoli’s outskirt, today we, God’s willing, resume our victorious march … Today we answer the call of our people in our precious capital as we promised them … Our date with the glorious liberation has come, so step forward … And enter it [Tripoli] with peace,” the Libyan Marshal said. Just several hours after the announcement, the LNA began a sort of blitzkrieg capturing the city of Gharyan, only 80km south of Tripoli, from militants allied to the LGNA. During the announcement, UN Secretary General Antonio Guterres was in the city to discuss the ongoing crisis in the country. According to reports, Field Marshal Haftar spoke to Guterres on April 5th and told him that his forces would not stop until “terrorism” had been defeated. Since then, Haftar’s forces have met some resistance from the LGNA, but have continued their advance and according to latest news are located about 10 km from Tripoli’s city center. So far, upwards of 37 people were killed or wounded in clashes. The LGNA even used its small air force to target positions of the advancing LNA force. In turn, the LNA declared a no-fly zone for warplanes in this part of the country. On April 5th, the forces loyal to the LGNA arrested more than 100 LNA fighters. The success of the LNA operation is still unclear, since the LGNA is also offering heavy resistance and is carrying out airstrikes on targets near Tripoli. Therefore, the LNA may face significant difficulties with capturing the city itself. Nonethless, it’s a fact that Haftar’s force were able to reach the city itself. Sarraj on April 6th accused Haftar of “betraying” him. “We have extended our hands towards peace but after the aggression that has taken place on the part of forces belonging to Haftar and his declaration of war against our cities and our capital… he will find nothing but strength and firmness,” Sarraj said in a televised speech. The overall international community reaction is a call for peace. “These attempts to weaken the legitimate Libyan authorities and hinder the ongoing political process are not acceptable,” the statement published by the French foreign ministry said. UN Secretary-General Antonio Guterres also condemned the violence but for many Libyans, the UN-backed GNA has no real authority. On Russia’s part, the Kremlin spokesman Dmitry Peskov said the situation in Libya is being closely monitored and called for a peaceful resolution. “We are watching the developments in Libya very closely. Without a doubt, we believe that it is essential that any actions must not lead to renewed bloodshed. We also deem it necessary to continue all possible efforts to fully settle the situation through peaceful, political means,” the Kremlin spokesman said. Interestingly, the “international community” is the same self-anointed G-7 puppets (some with basket case small laughable economies like Canada and Italy) are the same murderous hypocrites who bombed and destroyed Libya for OIL and disgracefully murdered Kaddafi in open view. These Zionist manipulated scum are the reason the world is a mess. Sadly and disgracefully, the Anglo-Zionist axis of thuggery, murder, lies, plunder, warmongering and deceit is based on the lowest common human denominator of greed, avarice, ego and arrogance, totally devoid of any humanity. These murdering arrogant self-entitled racist cowards will destroy the planet and any semblance of humanity if they are not checked. Zionism is a disease worse than cancer, and I am being mild. The west wants to keep the refugee pipeline open. Why i dont know. Someone is keeping europe weak destabilized and divided on purpose. You know who that is ..Zio Yankees. America needs Europe as vassals and willing to be cannon fodder. If Europe is united against others,even if sovereign instead of Enslaved to the EU , America zionistan loses! Well, well, ……… it looks like it is all being reversed now. It will be a kick to see what happens in Misrata. Haftar is supported by Saudis and is a CIA stooge since 1980’s. So was Saddam, sides change all of the time. But “The overall international community reaction is a call for peace.”……oh the hypocrisy !!. Should’ve thought of that before ousting Gaddafi!! Reducing Africa’s richest country to ruins and misery. – eh Sarkozy? eh Macron? eh Hillary Clinton? eh Cameron? eh NATO.